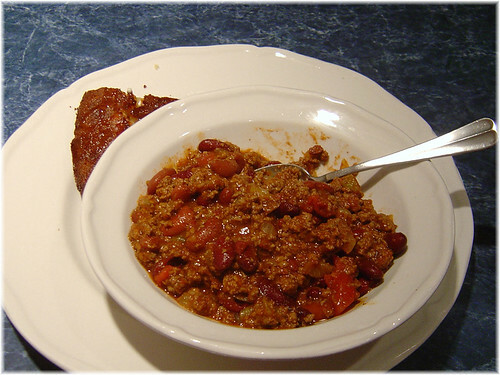 As temperatures starting dropping, I can't help but crave some chili and cornbread. Well, the air is cooler and I haven't made chili yet this autumn. Time to rectify that! It goes amazing with my Buttermilk Skillet Cornbread. I love mixing dark and light kidney beans. I like the heartiness of the dark kidney beans, but the light ones seem to have a softer bite to them, which I prefer. I also make chili in bulk. Why? Because the flavor only gets better with time, so each bowl is better than the last. This isn't quite Chili with a Kick, not too spicy... More like Chili with a Little Sass, just enough attitude without being too spicy. This looks amazing. It's going on next week's menu plan for sure! Gosh I just love chili.....and now I am hungry.